City Works Eatery & Pour House, a restaurant and bar known for craft beers from local breweries and around the world, plans to open its eighth location in Disney Springs West Side in the summer of 2019. The new eatery will serve up classic American food — think burgers, wings and flatbreads, all with a twist — in a space that features multiple high-definition TVs, including a giant-sized, 165-inch screen. 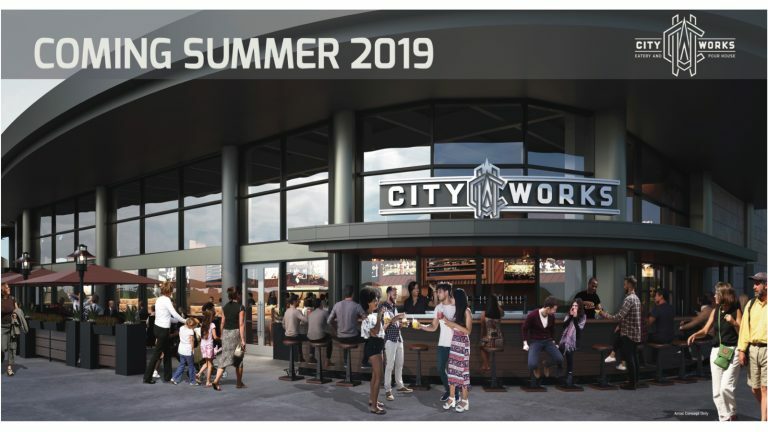 City Works will offer more than 80 beers on tap, including rare, limited supply, special tappings. Its full bar will also feature specialty cocktails, wines, whiskeys and more. Are you excited at yet another addition to the already-thriving Disney Springs dining and drinking scene? Let us know what your favorite Disney Springs nightspot is below — and don’t forget to leave your reviews in our Rate and Review section! There’s so many eateries there now that it’s going to be mind boggling. After some time goes by some of them will probably be closing out. Where in DS is this going? What exactly is the “twist” they’re claiming to have? Looking at their menu for their other FL location (https://www.cityworksrestaurant.com/doral/food-menu/) it looks like completely normal, plain, standard American bar food, no different than your average TGI Fridays. I see nothing that warrants them pretending they’re unique in any way. What am I missing?